Your request must ask for existing records or documents. FOIA gives you a right to inspect or copy records; it does not apply to a situation where you are asking general questions about the work of the City of Covington, nor does it require the City of Covington to create a record that does not exist. 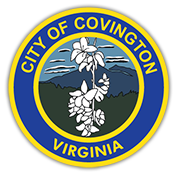 You may choose to receive electronic records in any format used by the City of Covington in the regular course of business. For example, if you are requesting records maintained in an Excel database, you may elect to receive those records electronically, via e-mail or on a computer disk, or to receive a printed copy of those records. The City of Covington must respond to your request within five working days of receiving it. "Day One" is considered the day after your request is received. The five-day period does not include weekends or holidays. The reason behind your request for public records is irrelevant, and you do not have to state why you want the records before we respond to your request. FOIA does, however, allow the City to require you to provide your name and legal address. 1)We provide you with the records that you have requested in their entirety. 2)We withhold all of the records that you have requested, because all of the records are subject to a specific statutory exemption. If all of the records are being withheld, we must send you a response in writing. That writing must identify the volume and subject matter of the records being withheld, and state the specific section of the Code of Virginia that allows us to withhold the records. 3)We provide some of the records that you have requested, but withhold other records. We cannot withhold an entire record if only a portion of it is subject to an exemption. In that instance, we may redact the portion of the record that may be withheld, and must provide you with the remainder of the record. We must provide you with a written response stating the specific section of the Code of Virginia that allows portions of the requested records to be withheld. 4)We inform you in writing that the requested records cannot be found or do not exist (we do not have the records you want). However, if we know that another public body has the requested records, we must include contact information for the other public body in our response to you. 5)If it is practically impossible for the City to respond to your request within the five-day period, we must state this in writing, explaining the conditions that make the response impossible. This will allow us seven additional working days to respond to your request, giving us a total of 12 working days to respond to your request. You may have to pay for the records that you request from the City. FOIA allows us to charge for the actual costs of responding to FOIA requests. This would include items like staff time spent searching for the requested records, copying costs or any other costs directly related to supplying the requested records. It cannot include general overhead costs. Agendas and minutes of meetings of the City Council and planning commission. Staff reports, analyses, and recommendations about policies and proposals being made by staff for the City Council. Salary and expense records and other personnel records concerning employees and officials of the City. Records of the City’s contracts with other public bodies, with private individuals, or contractors providing goods and services to the City. Budgets and reports concerning City income and expenditures, audited financial statements, and other records relating to the City’s financial position. It is the City’s general policy to exempt any and all records that are allowed to be exempted, redacted, or excluded from production by law.